Pidgin English is the chief medium of communication for the great majority of Cameroonians. It sustains a world view, culture and way of life. Pidgin embodies concepts that would at best be partially expressed in formal English. A critical understanding of Pidgin English requires not only a thorough grasp of the socio-cultural matrix from which the words and expressions originate but also an immersion in an Afro-centric worldview. 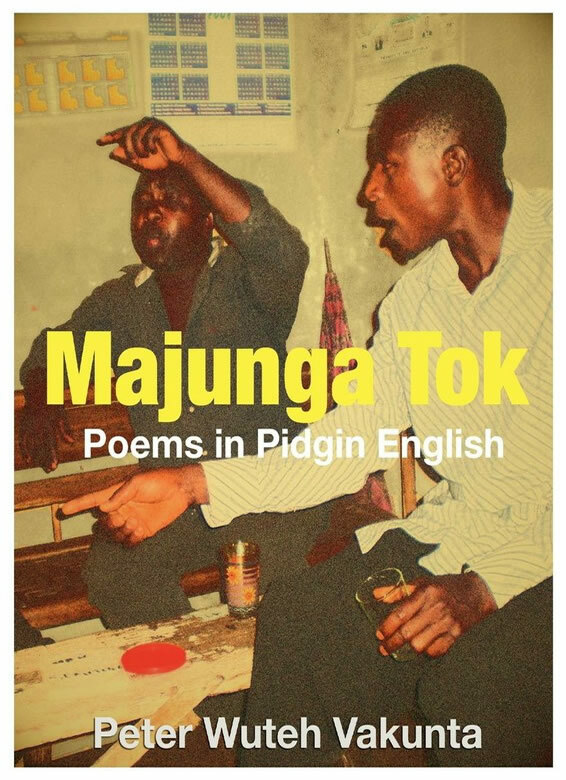 Majunga Tok: Poems in Pidgin English is the poet’s attempt at capturing these speech patterns of ordinary Cameroonians in written form. Pidgin English, also called broken English, is a lingua franca spoken not only in Cameroon but also in many West African countries, including Nigeria, Ghana, Sierra Leone and Liberia amonst others. This poetry anthology is inspired by the poet’s desire to salvage a language that has been subjected to multiple forms of denigration because it is oral. In Cameroon, for instance, Pidgin English has been the target of myriad attacks from self-styled linguistic purists who claim that Pidgin is a bastardized variant of Standard English and, therefore, should not be allowed to thrive. The controversy and denigration directed at Amos Tutuola and his Pidgin English creative genius are vivid examples. This condescending attitude of speakers of Standard English stems from the fact that Pidgin is often associated with illiteracy.